Escape to a gorgeous Hawaiian retreat with lush and spectacular gardens, two world-ranked golf courses, and stunning countryside views – all hidden away on Hawaii’s private island of Lanai. 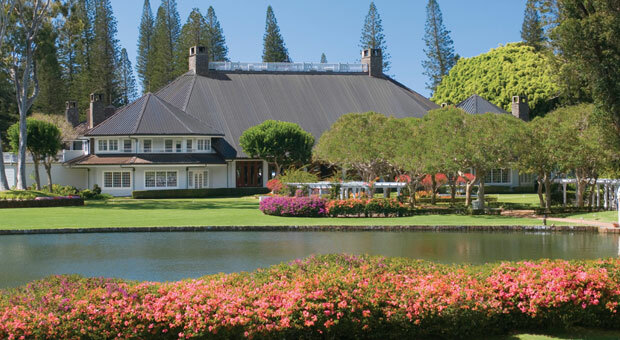 Showcasing the diversity of Lana‘i, Four Seasons offers a remarkable range of restaurants and lounges – within The Lodge at Koele, at Manele Bay and at the golf clubhouses. Delicious cuisine and attentive service make every occasion a memory to treasure. Four Seasons Resort Lana'i, The Lodge at Koele, offers a selection of massages in the spacious Banyan Spa Suite, a private treatment room with side-by-side massage beds and a bathroom with rain shower. Designed by golf legend Greg Norman and architect Ted Robinson, this championship course offers stunning views of mountains and lush greens, with the ocean in the distance. 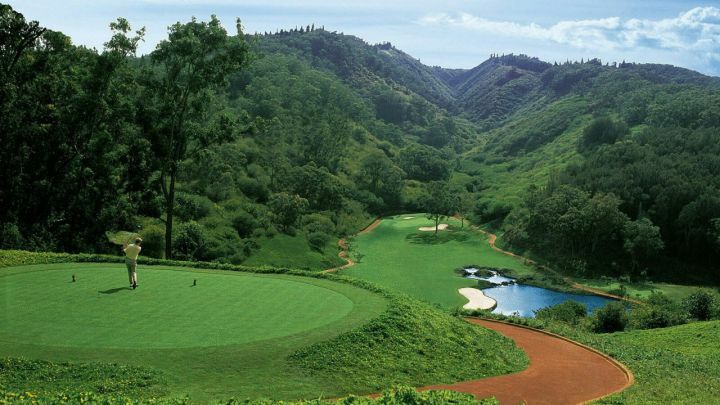 It offers dramatic contrast to The Challenge at Manele, with a cooler climate, wooded slopes, manicured bunkers and terraced water hazards. The course begins on a plateau nearly 2,000 feet (610 metres) above sea level, with sweeping views of Maui and Molokai across the ocean channel. The signature hole, Number 17, plays from a 250-foot (76-metre) elevated tee to a fairway bordered by a lake on one side and dense foliage the other. The front nine move dramatically through ravines wooded with pine, koa and eucalyptus trees, and seven lakes and flowing streams with cascading waterfalls dot the entire course. No other course offers a more incredible combination of highland terrain, inspired landscape architecture and a range of play challenges. Playing a round here will ensure you bragging rights, no matter what your score. High above the crashing surf of Hulopo'e Bay, The Challenge at Manele is an outstanding course that more than lives up to its name. Built on lava outcroppings, the course features three holes on cliffs that use the Pacific Ocean as a water hazard. The five-tee concept challenges the best golfers – tee shots over natural gorges and ravines must be precise.